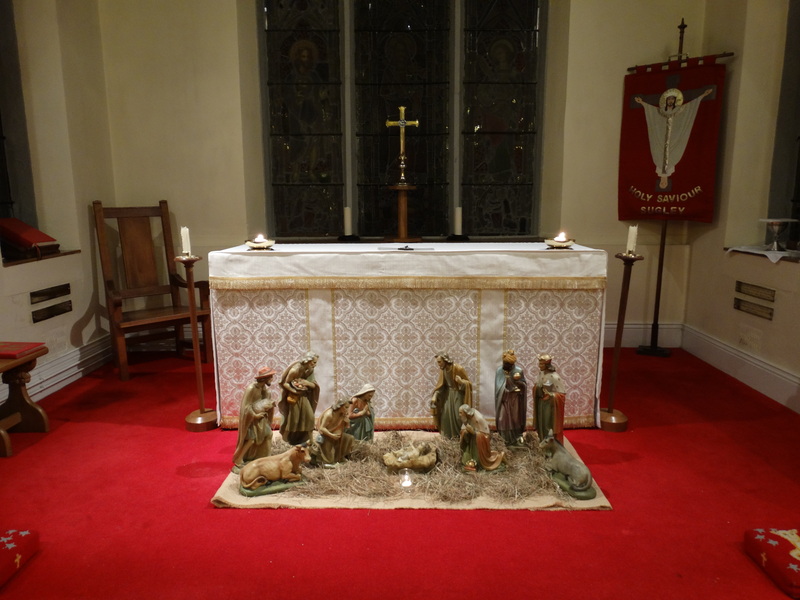 The day after we had been to Carlisle, I went to Sugley for an evening Deanery Chapter meeting. I went back on Friday 30 to get outside pictures in daylight. 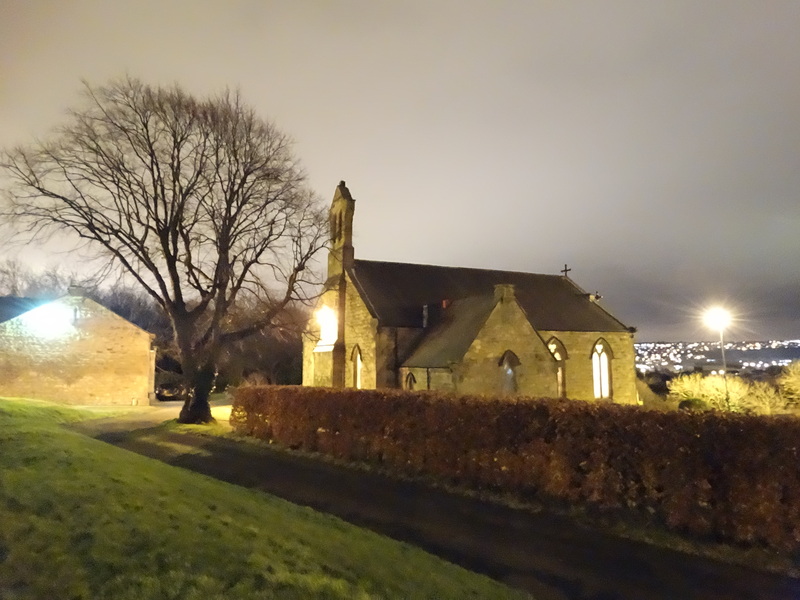 Holy Saviour, Scotswood Road, Sugley, serves the community of Lemington. Website at http://holysaviour.co.uk/. The church is on the north side of the road at NZ187646, with a car park on the north west side of the church – the church is actually aligned north-south. 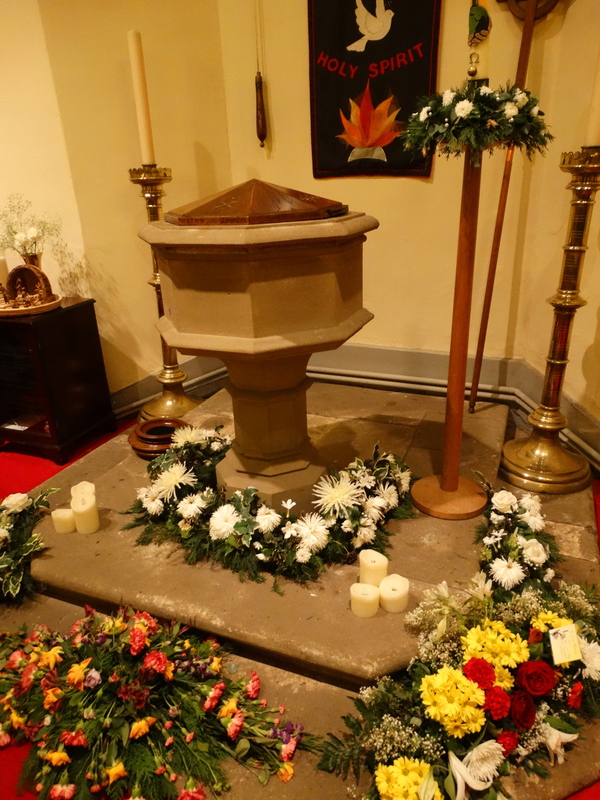 Although in our Deanery I had not been in until last autumn – the previous Vicar wasn’t in favour of women priests so had little contact with those of us who are. Alun became Vicar last autumn and I was a good boy and went to his licensing. 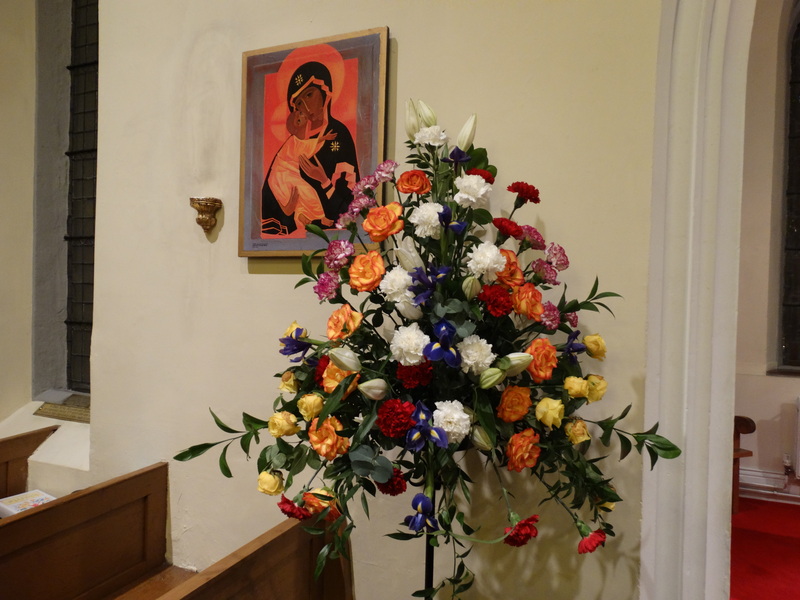 Sitting in the church hall before the service I had one of those moments – looking around the assembled multitude of clergy robing for the service, I realised I was no longer a bright young thing. Being the youngest at church gatherings for so many years, it was a shock to realise I am now more grey-haired than most of them. In one sense quite depressing, in another a pleasure to realise there are intelligent, sensible, nice human beings still willing to do this job! Lemington is about 5 miles upstream from Newcastle. The late seventeenth century saw the establishment of two large industrial concerns on the low-lying land near the river. It reminds me of an O level geography lesson – the importance of navigable water, coal, and a co-operative landowner. 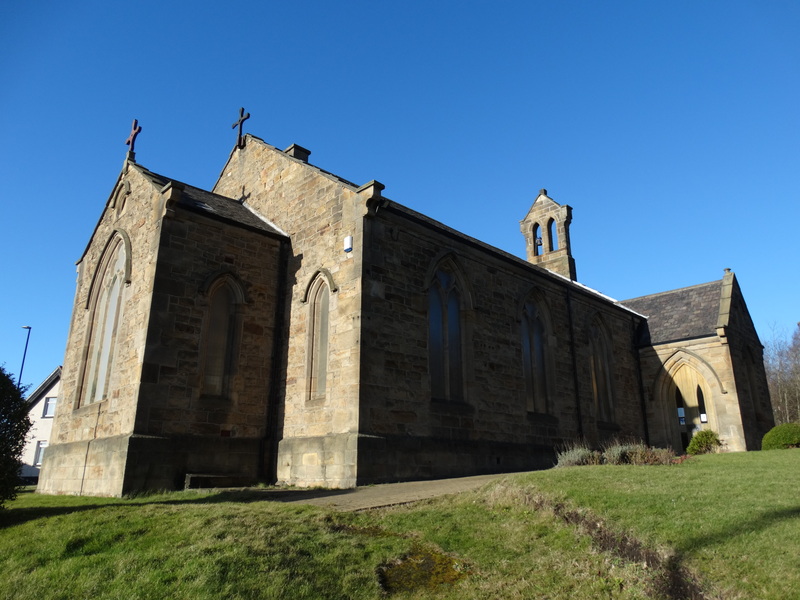 Holy Saviour was built in 1836-7 to serve the growing population. The architect was Benjamin Green and the stained glass by William Wailes. I must go back in daylight when the church is open to photograph the glass. The church hall was built the following year – Pevsner says it has “stone-mullioned three-light windows with floating cornices”. I’m just annoyed I hadn’t read Pevsner before Alun’s licensing. I could have cemented my role of eccentric old vicar by exclaiming, “I say, look at those stone-mullioned three-light windows with floating cornices”. I assume they had had a recent wedding, the flowers were quite stunning. I feel there must be a PhD thesis on what church kneelers say about what we used to call churchmanship – “high” or “low”. Not sure how I would feel about kneeling on representations of the knives used to flay St Bartholomew, or on the bleeding heart of Mary. On the other hand, kneeling on a mallard duck or a kingfisher (see Brough or Fornham St Martin) seems odd too. I remember one bishop commenting how he had dedicated so many Millennium kneelers, but rarely saw people kneel to pray … . 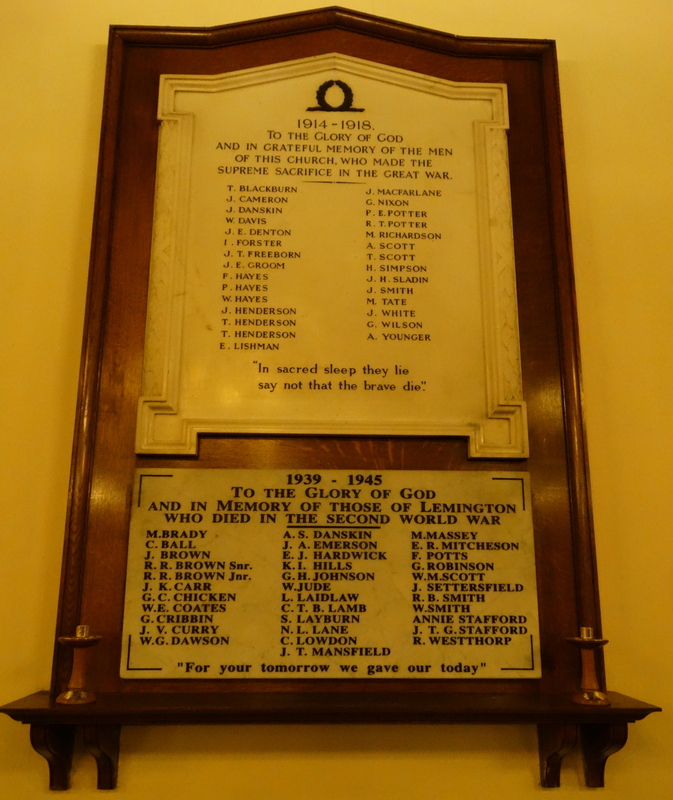 On a far more serious note, it is rare you see a War Memorial with more names from WW2. There are more photos of Lemington here and a history and walking guide http://www.lemingtoncentre.co.uk/wb/pages/heritage.php#lemington. 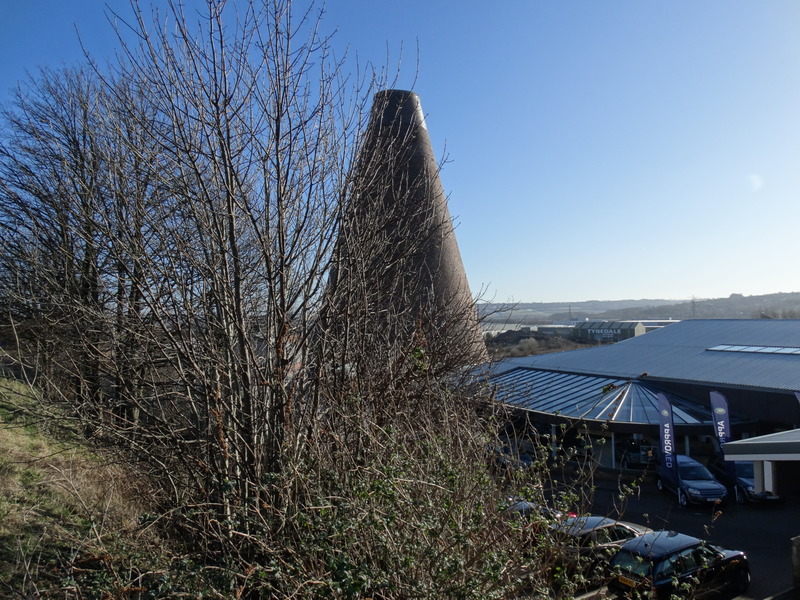 Also on youtube is a short clip from Amber Film’s 1977 film about the glass works, and the dvd is available here. 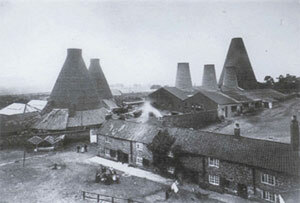 To the east of the glass works was Lemington Ironworks, established in 1797, closed 1876. 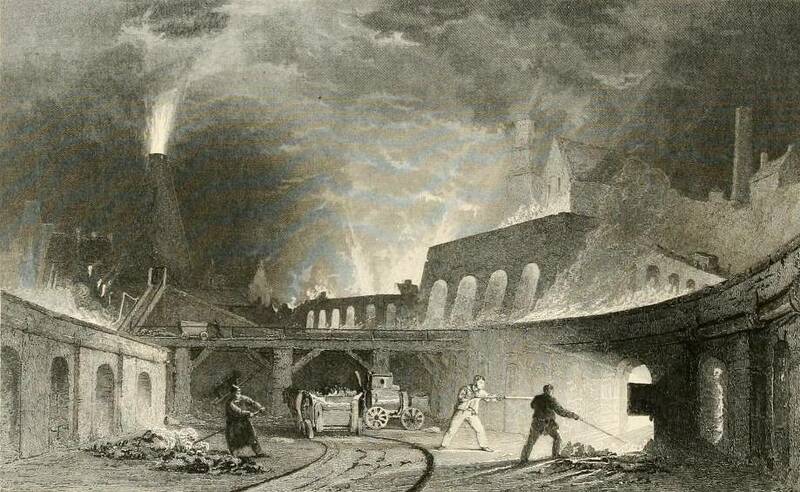 This picture, from www.victorianweb.org/art/illustration/allom/2.html, was drawn by Thomas Allom circa 1835. It appears in the book Westmoreland, Cumberland, Durham, and Northumberland Illustrated by Thomas Rose, published in 1835 and placed on the www by University of California Libraries. Fascinating! 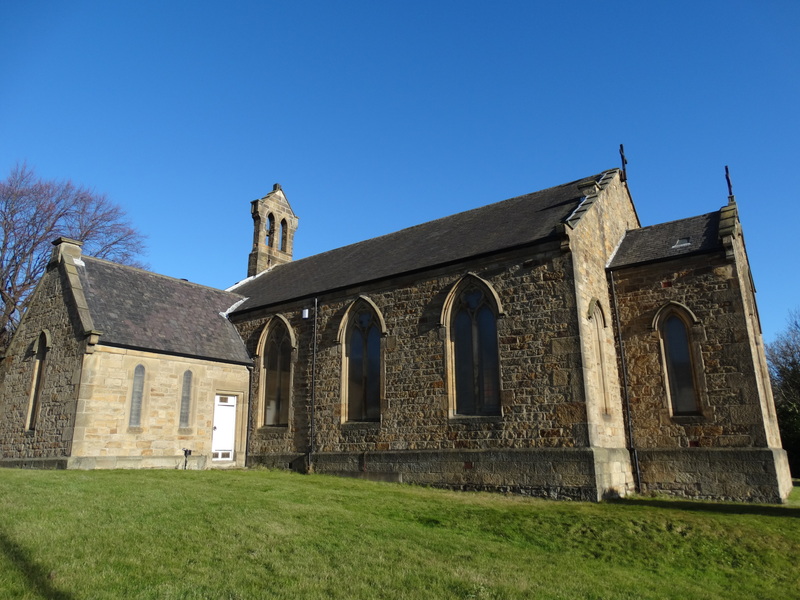 So much history just down the road – and a church which has served for over 175 years. this is just to say how much I enjoy your posts – you must sometimes wonder when you press the ‘post’ button how they are received, just sending them out into the world wide web! Well, I appreciate them a lot and am always happy when I see a new one in my in-box. Thank you. I have been doing my family geneology and just recently found that my parents were married in your church on November 6th 1942, I started looking for more information when I discovered this site and saw the picture of the war memorial and saw what I believe maybe my late Uncles name, J.A Emerson, would that be James Arther Emerson, son of Arther George Emerson and Emma Jane, nee Hannant? My Mother’s name was Doris Hannant Emerson and until now I have not found out much about where she grew up. I would greatly appreciate any information you could guide me to.